Summary: Hindsight is often 20/20. So, today we provide some key takeaways from The FinCEN 2018 law enforcement awards ceremony to better prepare you for what may be coming. Leave it to researchers to take away yet another dietary product people think is healthy. 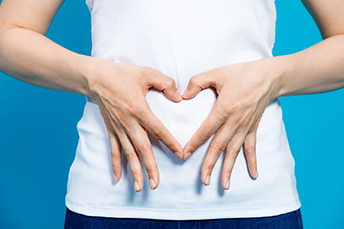 A study from Israel finds probiotics believed to be good for digestion and health, may not be all they are cracked up to be. The study found in 50% of people tested, the good bacteria from the probiotics went in the mouth and straight out the other end. In the rest, the good bacteria hung around briefly before being pushed out by existing microbes. As bankers, we know many things can give us discomfort and that hindsight is often 20/20. So, today we provide some insight and key takeaways from The FinCEN 2018 law enforcement awards ceremony to keep you informed. Be wary. Closely monitor customer accounts that have sudden, frequent international activity. Certainly, customers may have legitimate international-related business, but if a customer suddenly makes several foreign transactions or out-of-the-ordinary requests for wire transfers, it's worth taking a closer look. Case in point: One of this year's winners involved an investigation that kicked off based on a high volume of cash deposits into the subject's account, followed by large international wire transfers to construction equipment companies located in Asia and Europe. This example highlights the importance of keeping close tabs on money movement. Watch out. While we know that most employees are honest, banks can't afford to let their guard down because some are in fact rogue. In one of this year's winning cases, investigators brought down two very profitable Southern California and Tijuana-based money laundering operations that had been able to operate in part with the help of a bank branch manager. This manager protected the organization's accounts from scrutiny in exchange for money. Banks need to routinely monitor employees and activities to ensure no funny business goes undetected. Listen to Customers. Customers will often sound the first warning of something bad. One of this year's winning investigations was initially triggered by complaints collected from fraud victims receiving phone calls from individuals impersonating government officials. Customers may report these types of issues to you, and they can lead to large scale schemes. So, depending on their seriousness and frequency, make sure to report the occurrences to the appropriate law enforcement agencies. Listen to Employees. Bank employees are also a good first line of defense. Encourage everyone to always speak to supervisors if something seems amiss. One of this year's winners involved a person who opened and closed accounts regularly at numerous institutions. Investigators found that the thief had more than 50 personal and business accounts with 9 different banks in the names of various shell companies, as well as his own name. Financial data indicated that the thief made over $9mm in cash deposits, nearly all of which was wired out of the country. This chain may have been broken earlier had employees sensed something was wrong and told a manager about it perhaps. It is important to work together with the government in cases of suspected money laundering and fraud, of course. Knowing tell-tale signs to look for and when to dig deeper is the way to early detection, prevention and staying safe. To help prevent fraud, small businesses need to: run background checks on employees and contractors; implement controls and separation of responsibilities; have an outside accountant review your books twice a year; and add appropriate insurance to cover fraud. These are good reminders for your business customers. Epsilon research that looked at what people want from financial companies when it comes to personalized experiences finds: 90% of respondents said personalization is "very/somewhat" appealing, 80% said they are more likely to do business with a company that offers personalized experiences and 66% said companies are doing "much/ somewhat better" in their efforts to personalize their experiences. Bank Director asked executives for the perks their banks provide to at least some of their employees. External training/career development (80%); in-house training program (74%); social events/outings (64%); active employee volunteer program (61%); maternity leave (55%); health perks (49%); collaborative work environment (38%); telecommuting (29%).